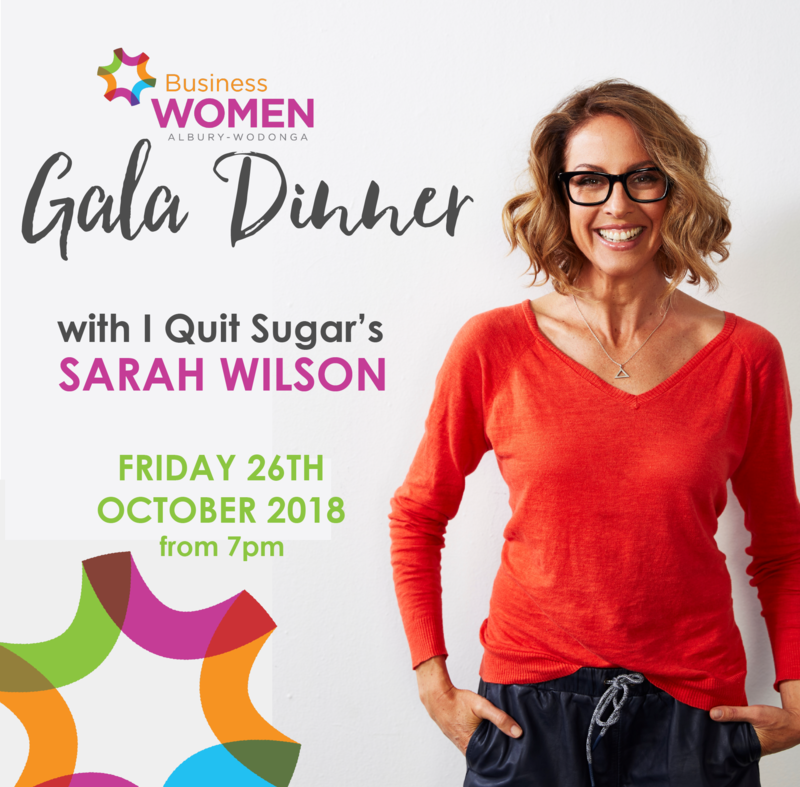 Join local business women for this year's Gala Dinner with special guest speaker SARAH WILSON. Sarah is a New York Times best-selling author of I Quit Sugar and the founder of IQuitSugar.com. She's the former editor of Cosmopolitan magazine and was also the host of the first series of MasterChef Australia. Sarah is passionate about sharing how to run a business that is true to your values. There will be 3 of Sarah's best-selling books available to purchase which she will be signing on the night.